The Dolphins are quiet diesel-electric attack submarines that evolved from Germany’s famous and ubiquitous U209 Class. They can fire torpedoes and missiles from their 533mm torpedo tubes, perform underwater surveillance, and even launch combat swimmers via a wet and dry compartment. 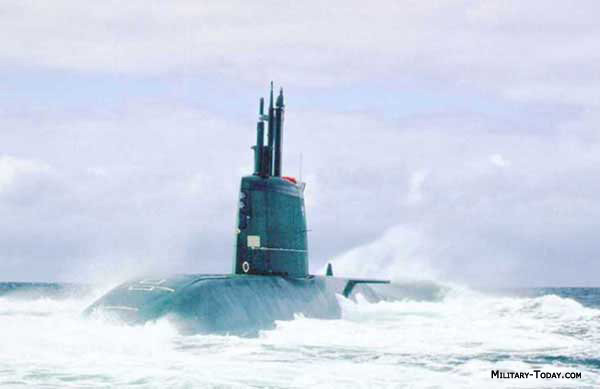 Germany had already donated two Dolphin submarines to the Israeli navy after the Gulf War in the early 1990s. The first-of-class INS (Israeli Naval Ship) Dolphin was commissioned in 1999, while INS Leviathan was commissioned in 2000. The Israelis later bought a 3rd submarine for $350 million total, using a 50/50 shared cost arrangement with the German government. INS Tekuma (“revival, renewal”) also entered service in 2000.